Australia needs to reconsider the ways it manages reducing smoking rates, including allowing some e-cigarettes to be sold legally, says an expert on substance abuse – but another expert has highlighted some significant barriers. Professor Wayne Hall, inaugural director of the Centre for Youth Substance Abuse Research at the University of Queensland, claimed in MJA InSight that we’ve “reached the end of the road” in terms of reducing smoking via tax increases. “By making low risk e-cigarette products available for purchase, it would be easier to justify more restrictions on tobacco cigarettes. If you can have a less harmful product there in the shops, why would you keep cigarettes available?” he says. 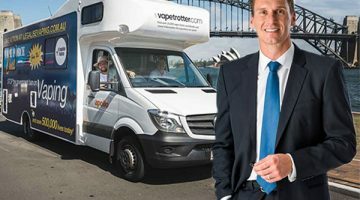 He made the comments following publication in the MJA of a report which explored how and why people in NSW use e-cigarettes, including where they buy them. The study found that e-cigarette use remains low, but some people are using the devices in an attempt to reduce their risk of harm from smoking. “Physicians and public health campaigners should inform smokers about the risks associated with dual e-cigarette and tobacco use, advise interested quitters that e-cigarettes are currently unregulated as cessation aids, and continue to provide evidence-based recommendations and cessation services to smokers wanting to quit,” the study’s authors wrote. Most smokers interviewed said that they were dual users who continued to smoke traditional combustible cigarettes as well as “vaping”. “Many reported that they used e-cigarettes to cut down on the number of cigarettes they smoked. For avoiding the risks of smoking-related premature death, however, reducing cigarette numbers is much less effective than quitting, and future research should investigate whether tobacco smokers using e-cigarettes to cut down are doing so as part of a cessation strategy or in the hope of reducing smoking-related harm,” the authors wrote. 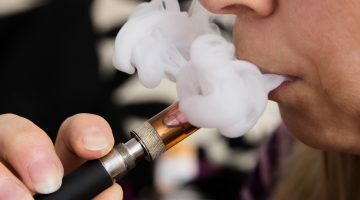 Frequent users were more likely to buy their e-cigarettes products over the internet, which means they have access to an “almost unrestricted” market. But Dr Coral Gartner, a research fellow (NHMRC Career Development Fellowship) with a background in environmental health and epidemiology told the AJP that while e-cigarettes are likely to be less harmful than smoking, there are several important issues to consider including that they are unlikely to be regulated soon. The manufacturers have to be willing to invest in obtaining TGA approval as a medical device, she says. This poses a big barrier to their being able to be sold in a setting such as pharmacy, where users could be given information about the products and how to use them to quit smoking or reduce their tobacco use. Dr Gartner says that so far, only two products in the world have been approved as therapeutic goods: Voke (an inhaler) and Evoke (an e-cigarette), in the UK, both of which are owned by a wholly owned subsidiary of a tobacco company – and neither are on the market. People who use e-cigarettes might not warm to their use as medical devices, Dr Gartner warns, were they to become available for therapeutic use. “We did a survey a few years ago about what type of regulation people using them prefer, and a lot really rejected the medicinal route,” she told the AJP. “They can see the highly restricted nature of pharmaceutical products, so there would be probably less choice for them in terms of what products would be available. “And they have concerns about the product not being particularly enjoyable to use. “Pharmaceutical regulation is very conservative, and so they would be wanting to avoid long-term use and wanting to make it unattractive to non-smokers. She says that in the meantime, there remains a strong role for pharmacists in helping people quit smoking. “They can be very proactive in that they can identify high risk groups, so for instance if dispensing mental health medication, we know that’s a population with high smoking rates; they could ask about whether they smoke based on what sort of medicine they’re on, and helping people think about quitting. “People on antiretrovirals are another: there’s a high smoking rate among them and they’re at higher risk of tobacco-related diseases. 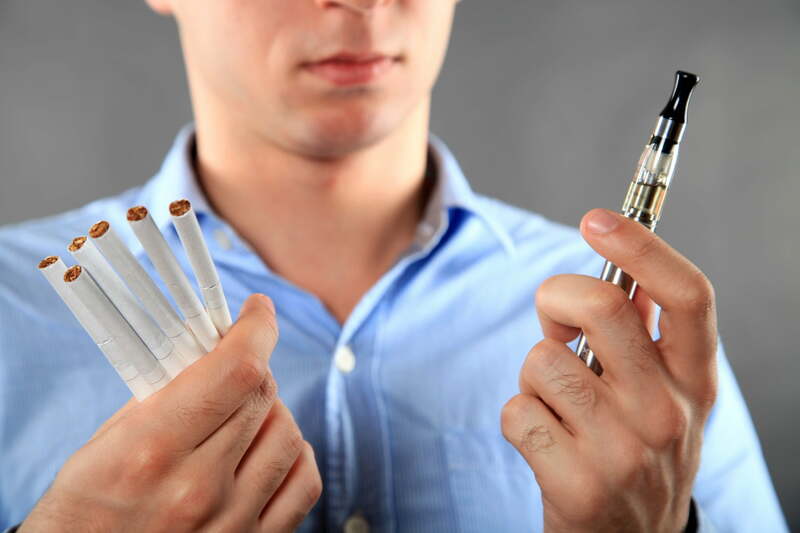 “I’m sure pharmacists have a lot of questions about e-cigarettes, too. There’s a lot of uncertainty out there, but it seems pretty clear from data so far that they’re going to be less harmful than cigarettes. “The best thing is to always stop all smoking, but if that’s not a reality for some people, switching to another product like e-cigarettes may be better or, even safer and easier to access is NRT.